Amador Transit provides local bus service in Amador County. Amador Transit provides Monday-Friday transportation service from our Sutter Hill Transit Center to the cities of Jackson, Sutter Creek, Ione, Plymouth, Pine Grove, Pioneer, and connects with Calaveras Transit at Mokelumne Hill. Our Sacramento Express travels Monday-Friday to downtown Sacramento providing commuter service and connections to the Sacramento airport. Paratransit “Dial-a-Ride” service is available for ADA qualified individuals. All buses are lift equipped and have bike racks. 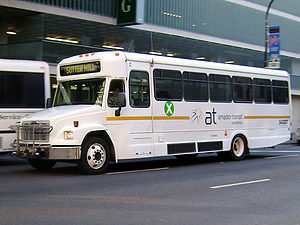 Amador Transit connects with Calaveras Transit in Mokelumne Hill and other transit operators in Downtown Sacramento.